Christian Media in Nigeria : RCCG’S Latest Baby "Immanuel’s Palace" Is Born! RCCG’S Latest Baby "Immanuel’s Palace" Is Born! 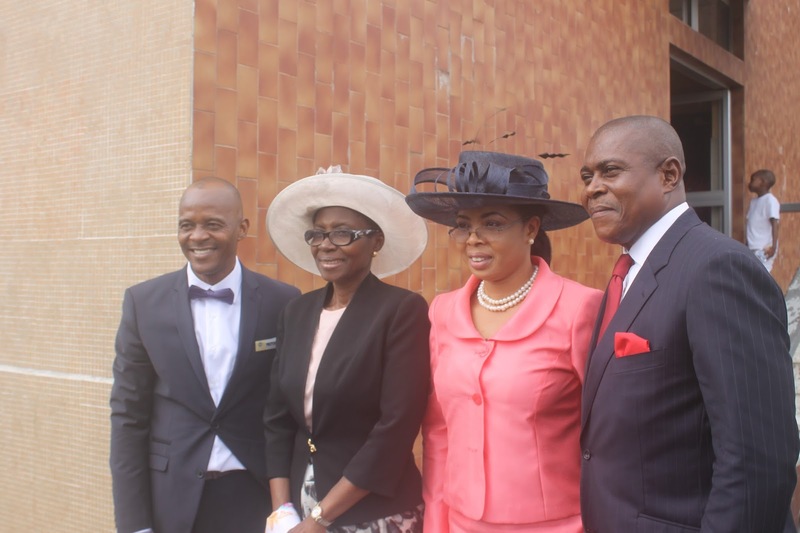 The need for paradigm shift in the Body of Christ was the message at the inaugural ceremony of the Redeemed Christian Church of God, Immanuel’s Palace. Elegantly dressed and in an atmosphere of praise and worship, hundreds of people thronged 90, Ladipo Street, Fatai Atere Way, venue of the inauguration ceremony of Immanuel’s Palace, the latest baby of the Redeemed Christian Church of God fold. On hand to receive the worshippers was the man of the moment, Pastor Fidelis Ohimhekpen who was all smiles as he welcomed well wishers and loved ones from far and near who had come to celebrate the new birth. Speaking on the journey that began some eighteen years ago, he was full of gratitude to the almighty God who has brought him thus far. He shared the experience with Daily Times. “Sometimes in August last year, some of us where called out and given the mandate to set up parishes; before that, I have been with Grace Tabernacle that birthed us for close to two decades. In the course of eighteen years I have gone through four pastors; I passed through Pastor Ibukun who is presently in Australia; he couldn’t be here with us but his goodwill message has reached us. I passed through Pastor Yinka Oluwasanmi, Pastor Bola, who was the one who keyed me into my ministry and Pastor Sola Balogun who sent us out. All my pastors that mentored me were reluctant to release me; Pastor Sola Balogun found it quite challenging to let me go, but it was time in God’s presence,” he said. In retrospect, Ohimhekpen mused over the challenges they encountered while trying to secure a place befitting of worship which, he recalled, was a long wait as they were practically worshipping in his living room for over four months before God made provision for where they are now. A clergyman of humility and humour, Ohimhekpen said his heart skips a beat whenever he is asked how prepared he is for the work ahead of him. “When it comes to the work of God, I see myself as inadequate; the only thing I can do is ask God for direction all the way. And, so far, the Lord has shown Himself faithful by taking me one step at a time and His glory is radiating round me; not because I am worthy, but for his grace. Admonishing unity within the ranks of the Christendom, Pastor Fidelis Ohimhekpen tasked the saints to embrace the conviviality that envelopes Immanuel’s Palace. He pointed to a group of people eating from the same bowl, “Just look at what is happening right there: that is the signature of Immanuel’s Palace, where everyone is the same, not minding your ethnic and family background. “If you look at the Body of Christ today, there is so much bitterness, bickering and backbiting, which in the least is not good. We believe that God will use us as a prototype to show other Churches how the Body of Christ should be, fellowshipping together, eating together and rejoicing together. We are hoping to raise a new generation of leaders whose watchword will be unity, love and peace,” he concluded.